I would not call it perfect, as no manmade system never is, but it is strong and rising as a medium of study of medical courses. English medium in China? Why? This would still hit many as a surprise, despite the popularity China has gained as a result of its good work in this field. Well, you asked why, now this article seeks to ask ‘why not’? And at the end of it I’m sure you’ll agree too, and perhaps recommend studying in English medium to your friends and family. Different schools have different policies, and that is probably why some universities employ foreign teachers whereas others do not. Those that do not employ foreign teachers usually have Chinese teachers who have a good English prowess, and if anything at all would take time in speaking to students. This, however, is not a strength in its entirety as some students may brand such lecturers as sluggish. Hospitality-this trait of the people of china is carried everywhere, as elders in my country say, just like pregnancy, attitude is carried everywhere, and Chinese teachers have carried this into the classroom nonetheless. Feel free to ask any question, no matter how trivial they may seem, and realize how painstakingly they elaborate them to you. I guess culture counts. There is no discrimination between Chinese and foreign students. Laboratory experiments are done in the same standards for each group, except for the difference in language. Obviously, universities in China would not be the same as those in your country. 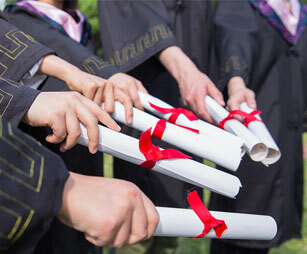 But look at the brighter side, it could be that the methodologies and philosophies employed in universities in your country did not suit you quite well, and studying medicine in English in china might be the golden opportunity for you to switch and turn things around for the better in your life. On a whole, there is not much of a problem about English medium medical courses in China. If there was any, I would call them general imperfections that exist everywhere. And as we all know, China is a country known for its progress and most of these trivial cases will be nonexistent in a short time to come.